The club was established in 1963 by a group of friends, although not a lot of information exists online about their formative years. In 1994, they joined the Leicestershire Senior League, initially in the second tier. They finished 3rd in 1998 and 2007 and it was the second of those occasions that saw them promoted to the Premier Division. 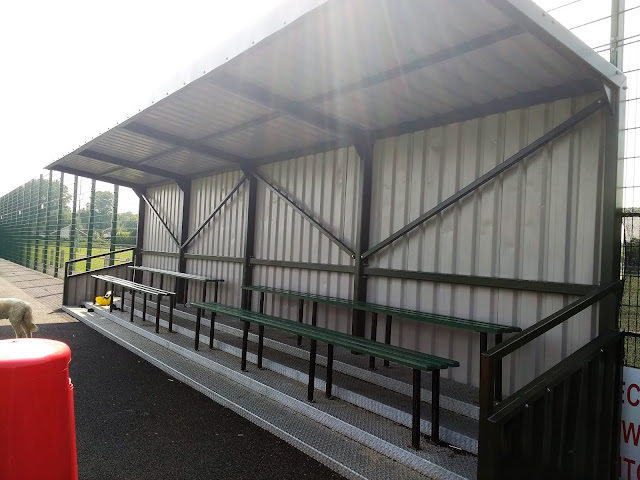 They've played there ever since, finishing 3rd in 2015 and then runners-up to Lutterworth Town last season. This season sees them finishing 7th, but with the league being very tight, even at this late stage, they could finish as high as 4th. 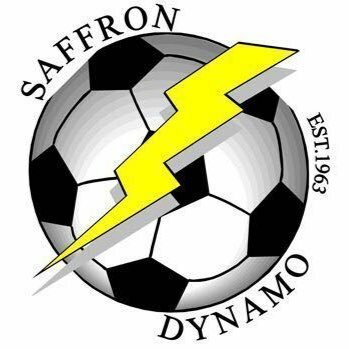 So far, Saffron Dynamo have had two FA Vase campaigns, but are yet to win a game, losing to Bartley Green in 2008 and Barrow Town in 2011. I was going to be on my own again on this Saturday, what with other hoppers being unavailable. With it being the last Saturday in May, most leagues had ended, but there was still plenty of choices. It would mean a fair old journey though, as anything decent nearby had long ago packed up. Originally, I'd decided to go to Swanage Town & Herston v Holt United and had a lovely day out planned. The weather looked fine at the start of the week, but not for the first time season, it conspired against me, gradually getting worse until on Friday afternoon, a thunderstorm was forecast. 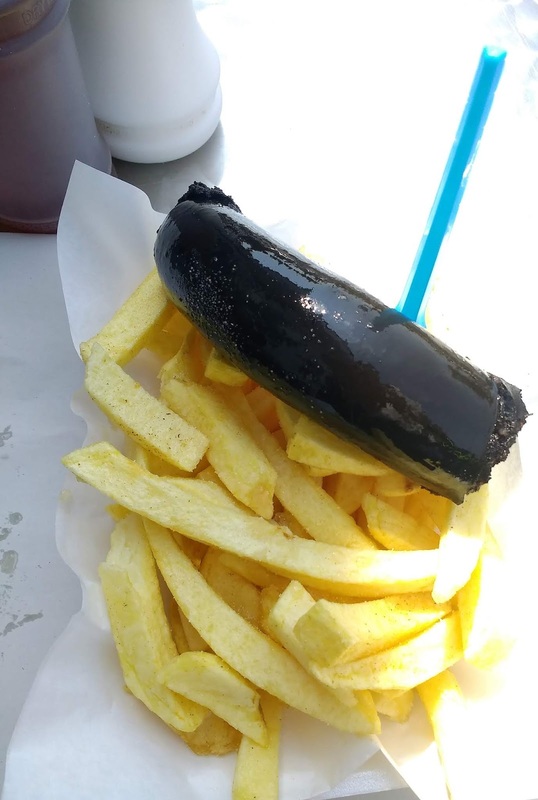 Even if the pitch wasn't submerged, my planned day out of fish and chips on the beach was well and truly ruined. 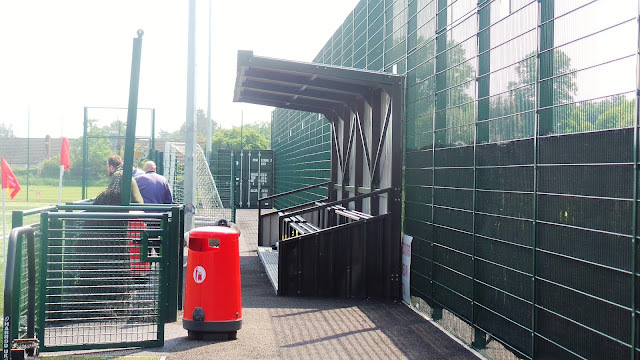 I checked the other main area for games, the Leicestershire Senior League and luckily, it was nice and dry. I looked at the options available and eventually plumped for Saffron Dynamo v Hathern. 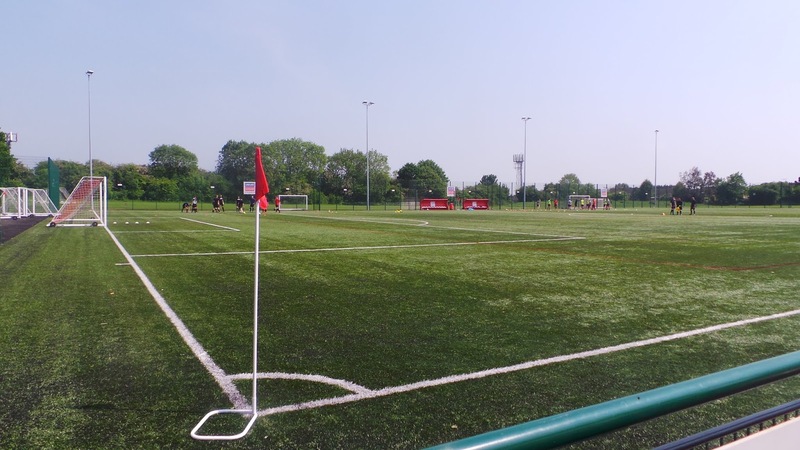 Though it was being played on an adjacent 3G pitch at Aylestone Park, there were some good options for lunch and the club couldn't have been more helpful on social media. A late Friday evening research into their history was needed, but I was glad to have a game planned and was looking forward to it. I didn’t have the best night’s sleep the night before the game, waking at 4 am after I forgot to turn off my work alarm and not being able to get back to sleep. I watched TV for a few hours before getting ready and leaving at 10.15. After a brief stop in Aylesbury, I headed for Milton Keynes and then the M1. There was a brief delay on the motorway, as there always is on the M1, but I was parked up at the ground by 12.45. It was disappointing that the club had not tweeted about the game, especially as they were so helpful last night, but after checking the FA Full Time site, I assumed game on as it was still on according to that source. I took the 25-minute walk to Aylestone, having a half of North Street cider which was decent. The Ale Stone was a very pleasant micropub and a good place to spend pre-match. My second half was Hallets Dabinett and this was nice too. I’d ideally have had more, but sceptical of late changes to my game, I laid off it and aimed to get to the ground a bit earlier. I got a couple of bottles to take away too, before going in search of food. Most takeaways were closed, but the Ocean Chippy did the job. It was full of Leicester City pictures, and so I had a decent portion of Black pudding and chips for £3.60. I eat it as I walked back to the ground, arriving at 2.40. 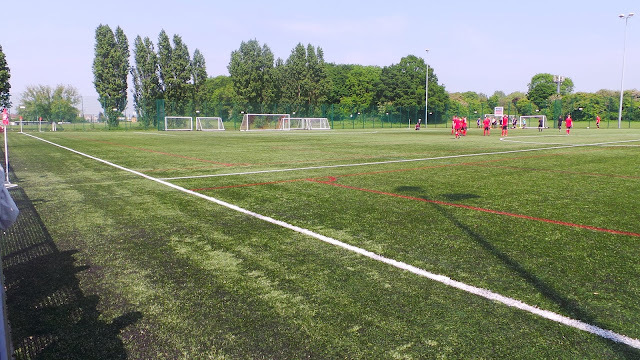 I had to walk through the main ground to get to the 3G pitch. In a similar set up to Haverhill Rovers, the second pitch was a dull one-sided venue, but it did the job and it was very much game on. The afternoon didn't start off very well for visitors Hathern when they brought with them a very similar kit to Saffron's red and black and so had to wear an assortment of bibs. The visitors did actually manage to take the lead when Stuart Gibson lobbed the home keeper on 12 minutes. Saffron had been the better side up to that point and they got the equaliser on 21 minutes with a crouching header by Phil Howard. Poor defending had been to blame, as was the case when the hosts hit the post a minute later. After 32 minutes, Saffron did take the lead, Howard got his second when he sidestepped a challenge and netted from 10 yards. A couple of minutes later, it was 3-1, this time it was Josh Lee converting a cross from the left from close range. Five minutes before halftime they made it 4-1, Howard turning provider this time as he set up Jake Limbert to net from close range. On 50 minutes, Howard completed his hat-trick, slotting on to a ball over the top and sidestepping the keeper and slotting into an empty net. He got his 4th to make it 6-1 on 66 minutes with a close-range effort. His 5th was another close-range finish to make it 7-1 three minutes later. 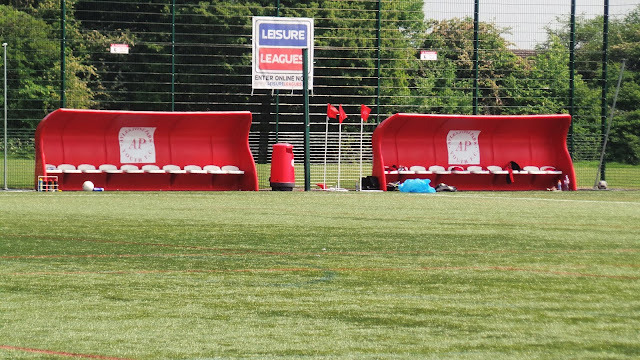 Hathern had a brief respite on 72 minutes when they pulled one back through an own goal that clipped the left-hand post on its way in. The scoring was completed on 77 minutes when poacher Phil Howard got his 6th with another close range finish to make it 8-2. 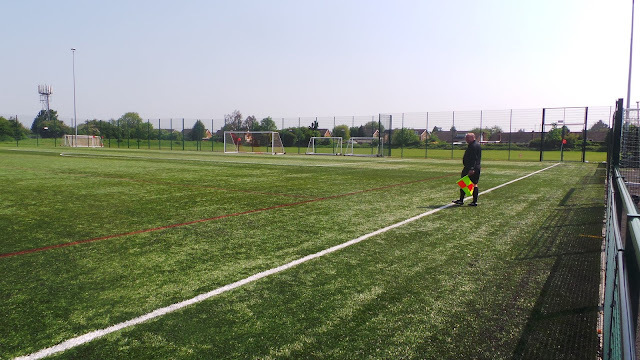 The referee blew up for full time around five minutes early by my reckoning, but the result was academic in any case with Hathern well beaten. I wanted to go to Aldi to get some of their microwaveable breakfast buns - for my money they are better than both the McDonalds and Rustlers versions. By the time I picked up those and a few other bits, it was time to head home. I left just after 5, listening to a 1990's Football Podcast called 'Alive & Kicking' where they discussed the best England World Cup Squad of the 1990's. The omission of Peter Beardsley aside, it was a good listen and kept me entertained for most of the journey home. I got in at 6.45 and over the course of the evening had my two bottles of cider that I'd bought. Those were a Pink Lady one from the Grainstore Brewery near Oakham Town FC and a Samuel Smiths Organic Perry. Real Madrid won 3-1, thanks mainly to a couple of horrendous errors from Liverpool keeper Lorius Karius, with him looking devastated at the end. I went to bed straight after but a noisy storm woke me up, meaning I got a poor nights sleep with me being up at 4 am the next morning. 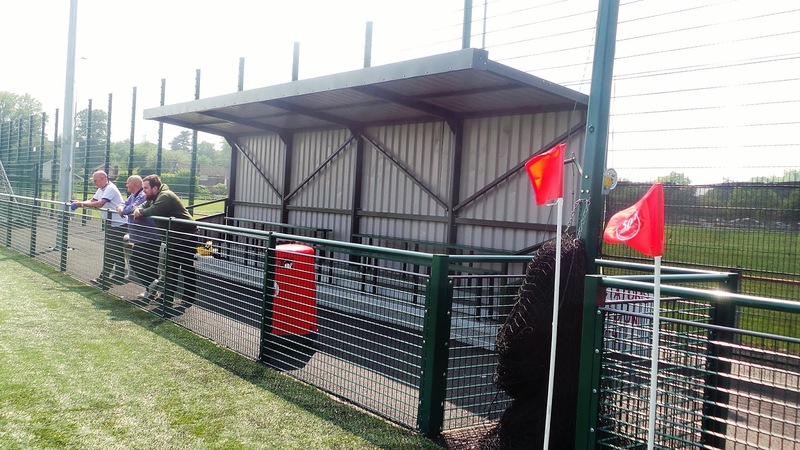 The MARY LINWOOD GROUND is reached by walking through the main Aylestone Park FC ground. Saffron Dynamo have made it their own this season and I’d guess that it is good enough for step 6. There’s only one side available for spectators. This includes a covered stand with benches for around 50 and an overall capacity of around 500 with the rest being made up of open flat standing. Facilities are shared with the main ground but the tea bar was closed and I didn’t visit the clubhouse. Aylestone Centre is a mile or so away, this has a great Micropub called ‘The Ale Stone’ and a number of takeaways.